You have never think that !dea can really change your life! 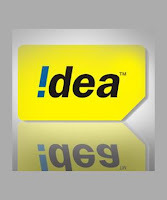 I am going to tell you very useful and helpful tip..
Now you haven't need to remember your !dea number. Here is a steps which will show your number to you. Step 1: Simply dial *147# on your mobile. Step 5: And finely reply with option 1 And exit. Your number will be on your screen. All In One Step: Simply dial *147*2*1# for quick. Important Notice : This service is totally depend on network and they can change service or menus anytime!